Commissioner Michael Grieco has had enough. 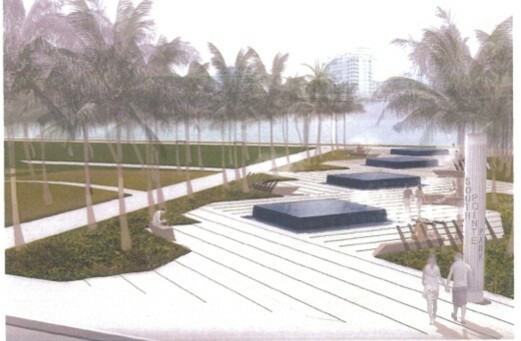 As a 6-month construction project at the South Pointe Park fountain enters month 15, he’s leaning on the contractor to finish the job and, last week, asked his fellow Commissioners to terminate a future contract for the Nikki Beach parking lot. They agreed. “The vendor on this really screwed up. Painfully, painfully screwed up,” Grieco said. Grieco added, however, the company had been awarded the contract for construction on the Nikki Beach parking lot. Without hesitation, the Commission voted to terminate that contract for convenience. Grieco said he started speaking directly with the principles in January in an effort to get the project completed. “They’re moving at a snail’s pace. It is the most painful government contract and it is a lesson learned on these low bid contracts when it comes to, I guess, more ornate asks.” He noted the project “is not just about putting in a couple bricks.” It involves underground tanks and other more complicated tasks. While the contractor encountered some issues not attributable to them, those issues did not amount to nine months of delay, he said. Grieco and the Commission have put the company on notice that they have until the next Commission meeting on May 17th and “That’s it,” he said. “They think we’re bluffing. We just cancelled one contract and they’ve still got $1.2 million left in this contract. That should be enough of a carrot to get that one done.” Grieco said he’s willing to “go out personally and get the numbers of all the subs” and the City can deal with them directly. He said the unfinished project is holding other things up including the resodding of the adjacent off-leash dog area. His frustration is evident. “It is the entrance to what is one of the huge attractions of our City. And it’s such a shame that what will equate to almost a year has been stolen from our residents and our guests because this contractor can’t get it together,” he said.